Wrangler’s new denim performance line with innovative design technology looks great and is built for everyday freedom of movement. Introducing ‘Wrangler Stretch Plus’ – ‘Wrangler’s Move Free Denim’, the new addition to the brand’s Denim Performance range. 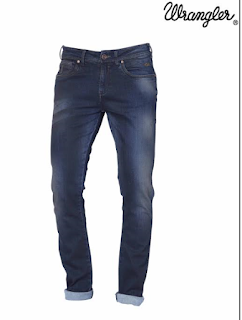 These jeans and tees are crafted from high quality stretch fabric for maximum comfort and movement. That’s not all, Wrangler’s Stretch Plus apparel are also treated with anti-bacterial Silver Shield technology that keeps them fresh and odour-free longer. The Stretch Plus denim range is skilfully crafted from superior stretch denim fabric and updated with unique washes and detailing. The topwear from this collection features eye-catching biker-inspired graphics. Freedom was never so much fun before! Price Details: Wrangler’s Stretch Plus Collection starts at Rs. 3495/- for jeans and Rs. 1395/- for top wear. Walk into your nearest Wrangler store for all your denim and casual wear fashion needs.